What does it mean to thrive in your personal and professional life? Everyone is alive, but not everyone thrives. Becoming a Thriving Artist is a dynamic online class designed to help you understand what it means to become a thriving artist. Led by author and Grove Founder, Joey O'Connor, this Grove online class will give you practical tools and inspiring insights to help you grow in your life, craft and thriving life of God. What are the Attitudes of A Thriving Artist? Becoming a Thriving Artist will inspire you to keep pursuing a deeper relationship with God and the creative life you are meant to live. 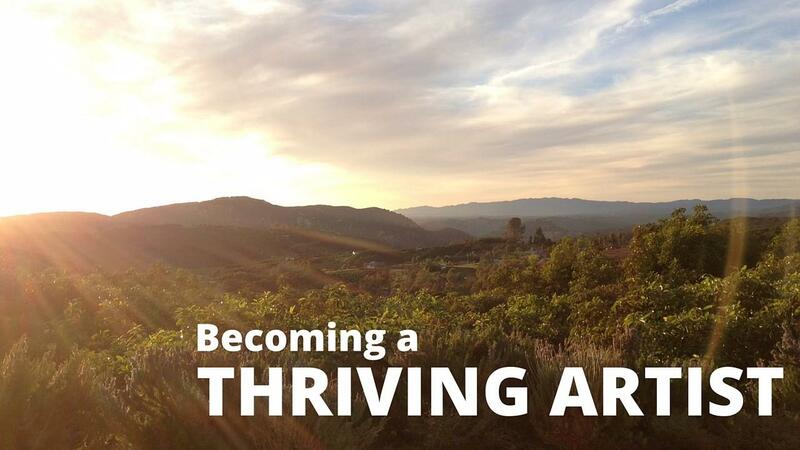 Join author and Grove founder, Joey O'Connor in Becoming A Thriving Artist. As a farmer who manages an organic lemon and avocado grove, Joey has learned quite a few things about what it means to thrive. In this Grove Online Class, you'll be inspired to cultivate your spiritual life and creative work as an artist so you can thrive in all seasons of your life. Invest in your life by soaking in the principles and practices of Becoming A Thriving Artist.